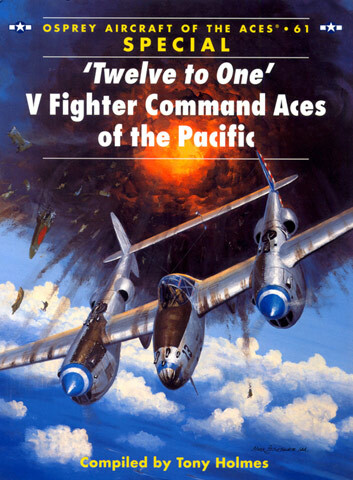 Advantages: Interesting first-hand perspective from 26 pilots; well illustrated with 80 photos and 50 colour profiles (many seldom displayed previously); good historical summary of what it was like to live, fight and fly in the South West Pacific Area during WWII. 'Twelve to One' might seem to be an odd title for a book. However, when you realise that it stood for the kill ratio obtained by the fighter units that were assigned to the V (Fifth) Fighter Command in WWII it makes sense. The book itself comprises contributions from 26 different pilots, many of them well known aces. Their reports are written in the first person and describe offensive and defensive tactics that they used on an individual as well as squadron level basis. To give a complete picture and round out the story, the author has supplemented the text with full histories of each pilot in a "side-bar" format. Coverage is complete and contributions come from each of the Fighter Groups that made up the Fifth Fighter Command – the 8th, 35th, 49th, 58th, 348th, and 475th. The book is well illustrated with 80 black and white photos and 50 full colour side profiles of the aircraft flown by the contributors. 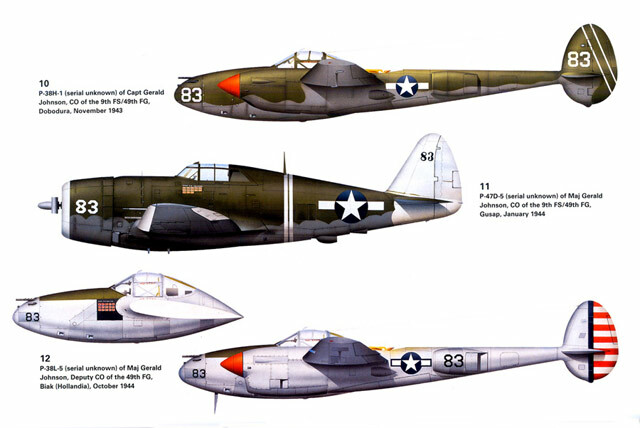 They include P-40s, P-47s, P-38s and P-51s. The photos and profiles show many seldom seen aircraft. Decal manufacturers would do well to note that many of them have never appeared in decal format before! This is more of a history book than modelling reference book. If you are looking for walk-around type pictures to assist you in building your latest masterpiece, then look elsewhere. If however you are seeking knowledge on what it was like to live, fly and fight in the South West Pacific Area during WWII then look no further.